Let me blog this entry backwards and start from Christmas! 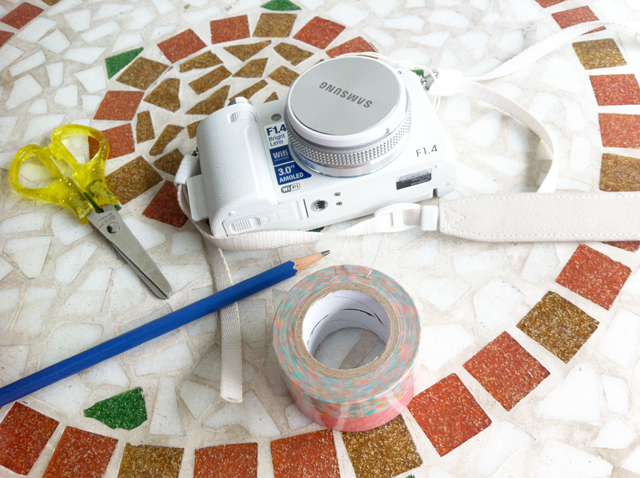 Wanted to blog about this before I left for Genting but did not manage to finish writing so here's a belated post! 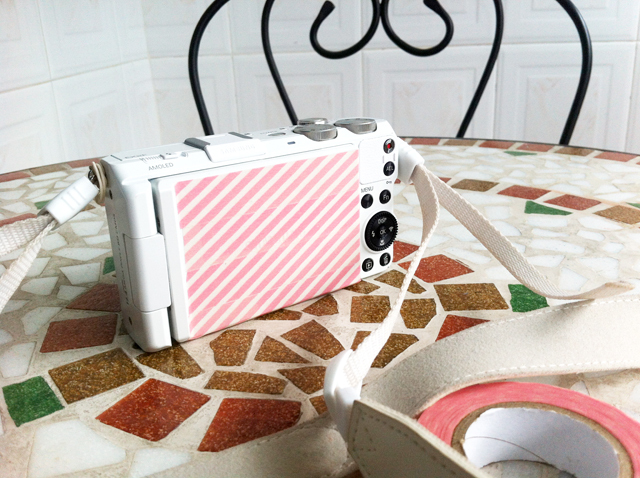 Speaking of Christmas, some days back I taped my camera stripe pink and it looks like candy cane now! Reason why I wrapped it is because I think if I don't, within some months the white surface would become grey with lots of scratches! 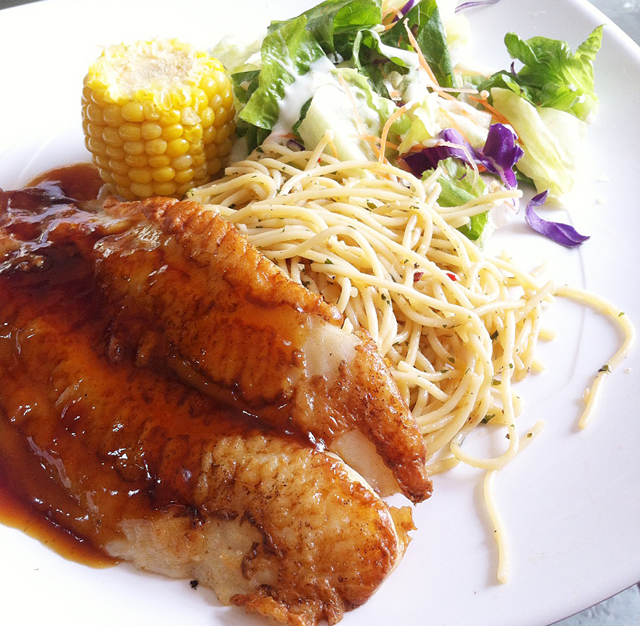 So back to 25th December itself, had our Christmas lunch at Bedok with the family and bf. Afterwards, we did some shopping but I didn't manage to get anything I like! Anyway, I really overspent this month on Christmas shopping! Just too tempted by all the pretty packaging! Just keep buy and buy and buy! Now my wallet really big hole already! 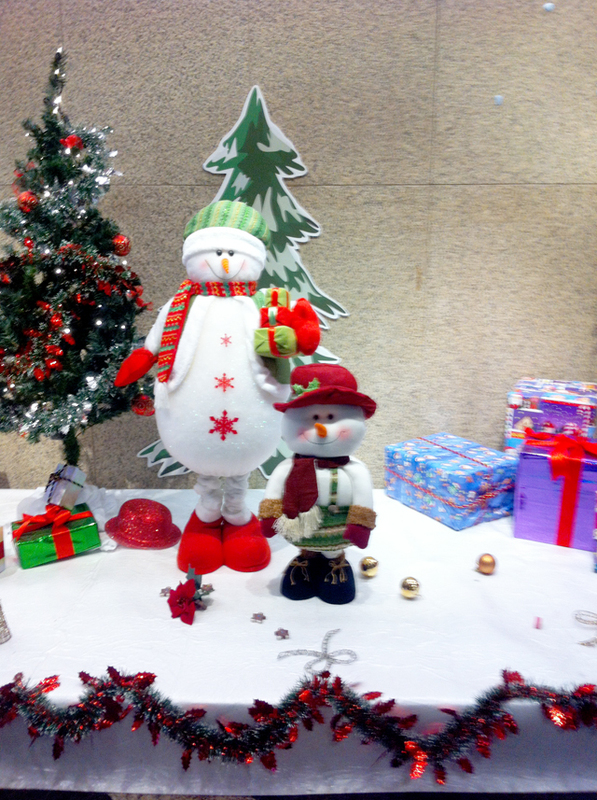 On Christmas Eve, everyone in our office had our own Christmas celebration at Raffles Place. Spotted these cute snowmen while heading home! 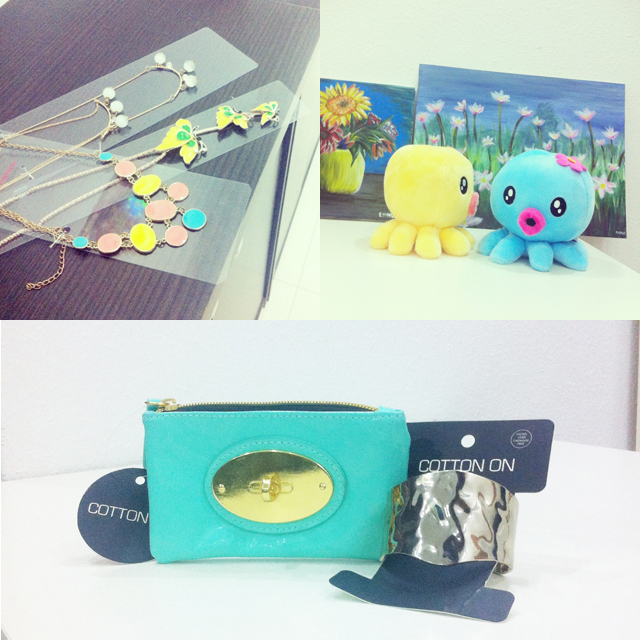 Gifts from colleagues! 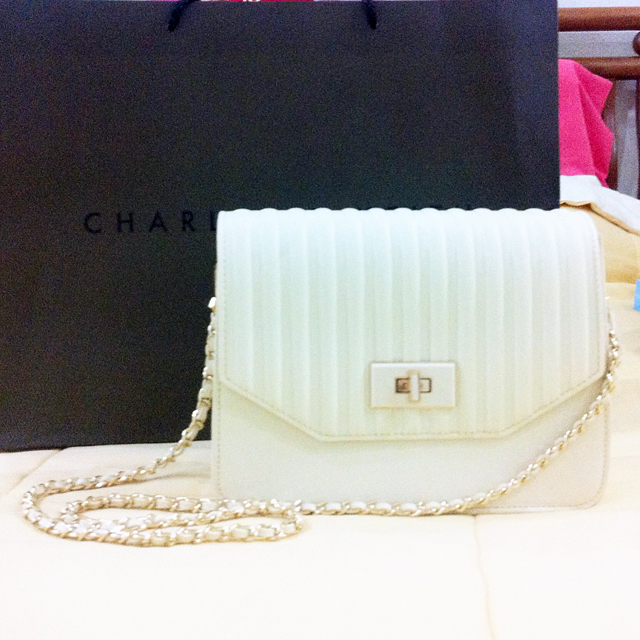 :) Love the season of giving, cos I receive gifts like it's my birthday! Haha! 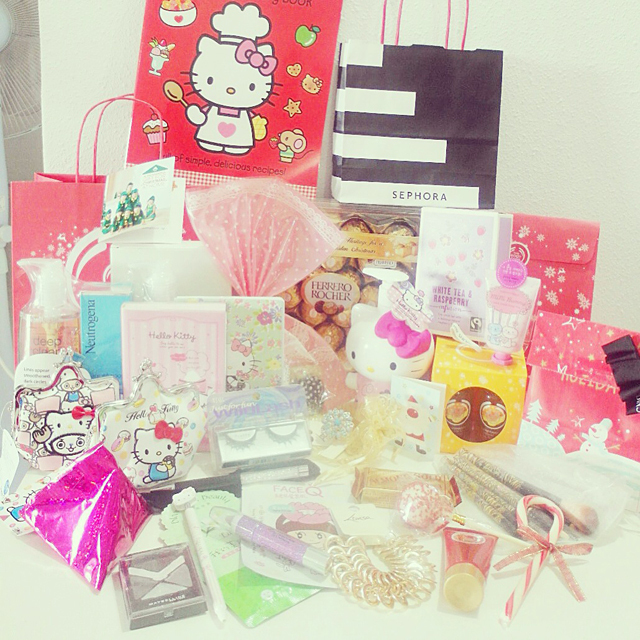 And, all the ones closest to me gave me something related to hello kitty, I counted eight in total. Much love! 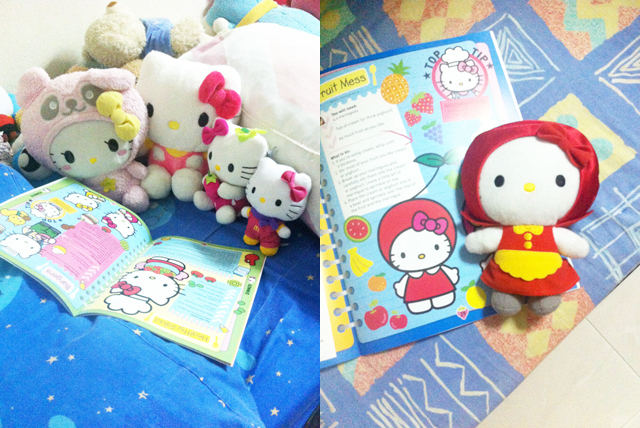 Was very amused by this cute Hello Kitty Cookbook for kids. 1) Made my kitties read it 2) Found out that one of my kitty is a model for the book! Hahaha. 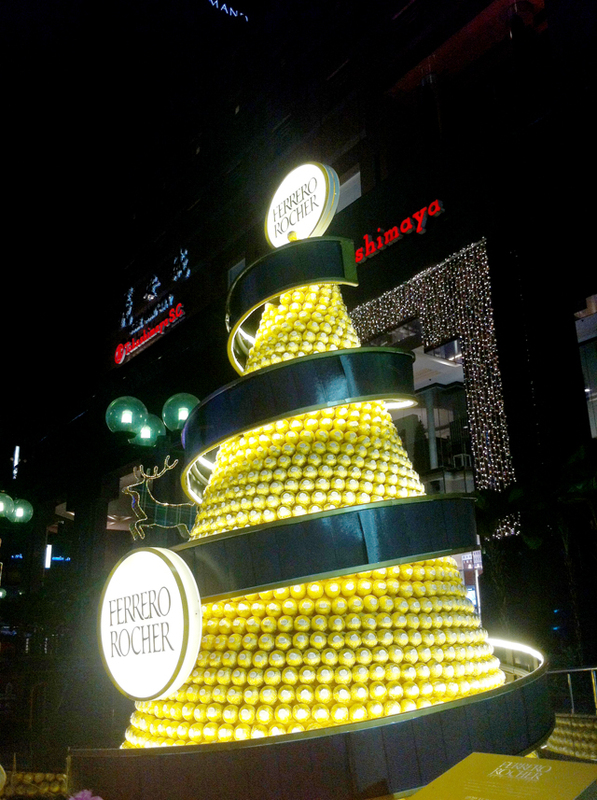 After work, I headed to Orchard with my family to feel the festive season. 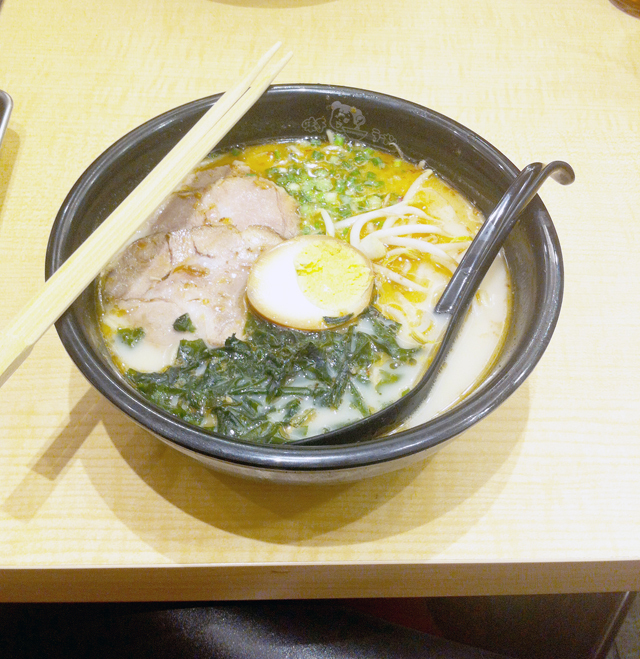 Ramen at Ajisen for dinner! 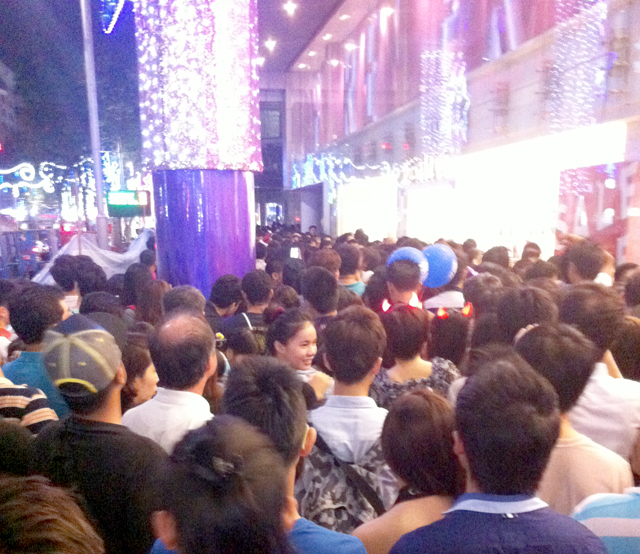 After that, we walked around inside Watsons for super long!!!!! Told mum about the wonderful effects of purer skin miracle serum so Dad bought one for her. I am also using purer skin night recovery and I recommend it too! All was fine from Wisma onwards until we reached Somerset 313. The crowd was super packed and we squeezed like sardine!!! Everyone was pushing and at some point, the crowd was not moving at all. Haha. 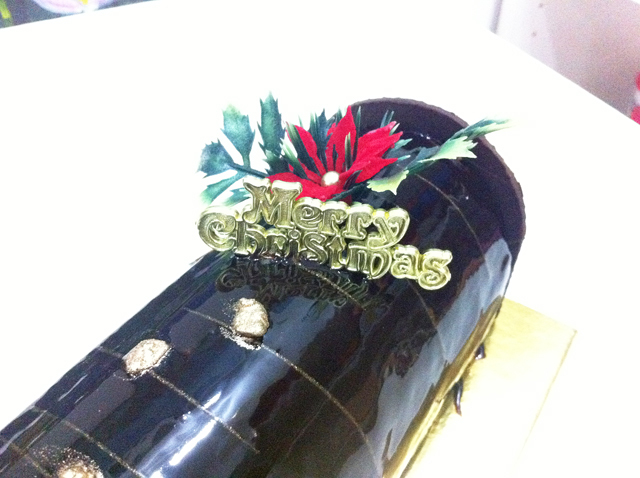 Finally got home and we had log cake from bf! Gifts from my mum, dad, and sis.